When I originally thought of writing this post, we were here in the lower 80′s. I’m starting to wonder if I jinxed it because as I write this now we are in the 30′s! What gives Mother Nature? Like I said, last week was gorgeous out. And of course, I was trying to hold out as long as possible without turning the air conditioning on. Not sure why I do this, maybe it’s because I’m from the Midwest. We don’t turn our air on until June. Even my uncle practiced this when he moved to Arizona. I lived there, and let me say, there’s no way you’re going to June 1st without the air! He learned fast. Anyway, I digress. It WAS warm and I had tried out a few things that made the warmer weather more comfortable. And it’ll be good to know because I’ll be ready to pop in June. Hope these help you as much as they did me that very short week of warmer weather. Carry a spray bottle full of cold water for heat emergencies (like that scorchking walk from Target to your car). Keep an ice pack handy. 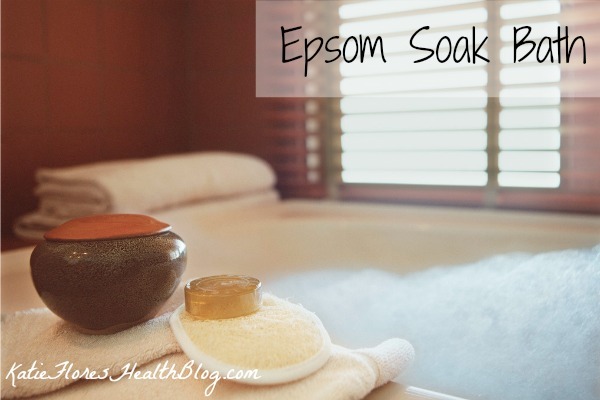 It’s especially good for when aches and pains hit, or during pregnancy hot flashes. Camp out by a source of water whenever possible. Buy a fabulous maternity swimsuit and show of your belly. Stay hydrated. Check out some flavored water recipes or cool down with a nutritious smoothie. Keep your house stock with food so you can avoid making trips to the store during the heat-of-the day. Use a highlighter to turn your sweat perspiration into shimmer. Get a pair of flip-flops. They’re easy to put on and if you’re feet are swollen, they’ll fit easily. Do you know what holiday is coming up? Hint: According to mom’s, it’s the most important holiday of them all… Mother’s Day. So if the hubby needs some convincing, tell him it’s for your own health Below is a recipe I use weekly for myself. Be sure to forward it to your husband or kids as a little hint. Because let’s face it, the husbands can’t read our minds. Add to a warm bath and soak for 20 minutes. Last week I told you all the benefits of using coconut oil. Now the question is, how do you specifically use it. I am so excited for this post. I am a very organized person. One thing you’d notice about my home is that I don’t have a lot of stuff. I like when “one size fits all.” Coconut oil is my go-to product because it can be used for so many things. Cuticle oil: Softens and strengthens cuticles, and soothes/prevents hangnails. Eye makeup remover: Use it to remove makeup, even waterproof mascara. Reduces wrinkles: Reduces the appearance of fine lines and wrinkles. Defrizzer: Use to defrizz and smooth fly-aways. Works especially well on dark hair. Deep conditioner – Coconut oil works extremely well as a conditioning treatment, especially as a pre-shampoo hair repair mask. Natural deodorant: You can dab some under your arms plain, or mix it with baking soda. Toothpaste: Use it as an ingredient, with baking soda, for homemade toothpaste. Good for gum health. Sunscreen (SPF): It doesn’t sound like it, but coconut oil has an SPF of 4-6. And if you use it while tanning, it prevents skin damage due to its antioxidant and moisturizing properties. DOUBLE WHAMMY! Body scrub: Mix with a little sugar or sea salt for a yummy, moisturizing body scrub. Lip balm: Hydrating on dry or cracked lips. You can try mixing it with shea butter to make it richer. Foot/Heel softener: Softens and smooths dry, cracked heels. Facial cleanser: Massage in like any facial cleanser and rinse with a cloth. 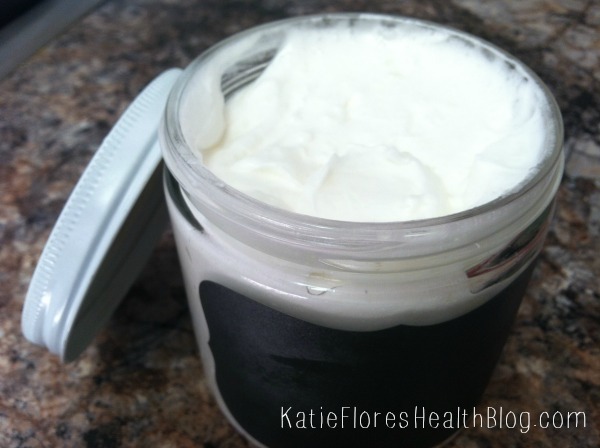 Body butter: Coconut oil is a great moisturizer by itself, but for even more pampering, whip it into a homemade body butter using a kitchen mixer. Aftershave: Men can use this on their face, and for ladies it is amazingly soothing on legs and the bikini area. Massage Oil:Just melt some down. Elbows: Improves look of dry dark elbow patches. Shaving “cream”: Just use it in the shower like you would with shave cream/gel, or apply it before shaving normally as a pre-shave preparation. Bug repellent — Just mix with a few drops of peppermint oil and apply to skin. Stretch mark oil — Use it on your pregnant belly to prevent stretch marks. It also works on stretch marks to reduce their appearance. Tattoos — Aids in healing a new tattoo, and regular use prevents the ink from fading. Have you fallen in love yet? I feel like this is the fountain of youth for woman! SERIOUSLY. I don’t know about you, but every problem area I have on my body was mentioned on that list and can be fixed with coconut oil. So don’t just keep a jar in the kitchen, put one in your bathroom too. Have you used coconut oil? How as the magic potion helped you? Share in the comments below. When I first heard about this, I was skeptical. too Why can’t I just brush my tongue? (Confession: I never even did that) But, after reading about it, I simply thought, what’s the harm? So I set out on a journey to find one. You can really find tongue scrapers anywhere. I’ve found them at Target to grocery stores, to drugstores. It’s placed with the toothbrushes and floss so it’s super easy to find. You’re looking for a thin, u-shaped utensil. They can either be plastic or metal. The first time, I got a plastic tongue scraper (for around $4) but I had to replace it every 3 months. It worked but when I changed to a metal scraper (around $6) I liked it so much more. Plus, it’ll last for years. I just throw it in the dishwasher every so often to clean it. What’s So Good About A Tongue Scraper? Clears out the deposits and generally keeps the area cleaner, stimulated, and alive. The reason brushing the tongue doesn’t work is because it just moves the stuff around. Cravings can be reduced by cleaning the tongue of leftover food. It allows you to taste more subtle flavors in food. *Bonus: Veggies, fruits, and whole grains will taste better! You’ll be better able to taste your food and won’t need to eat as much since you will have gained greater satisfaction from your meal. Best thing about a tongue scraper: Enhances kissing because it makes the tongue more sweet, fresh, and sensitive. Oh-la-la! Apply a few quick strokes, 2-3 times a day, or after brushing your teeth. Use the rounded cleaning edge to scrape gently down the tongue several times, while applying slight pressure. Rinse under running water and gently scrape again until no white residue is left. There should be no pain or gagging involved whatsoever – if you feel any discomfort, you are probably scraping too hard or starting too far back on the tongue. And if you are wondering what those bumps are at the back of the tongue, they are your salivary glands and they are supposed to be there. If you found them you’ve gone too far. Tongue scraping was huge for me. What was a small change that you made in your routine that made a big difference? Share in the comments below. Today’s Tweetable: What’s the one thing you should add to your daily routine? So obviously, winter has hit hard. That pretty much goes for anyone in the US. Every state last week had reached a temperature of below freezing. It’s been insane. Even living in Georgia, we were predicted to have snow (of course didn’t) but many places shut down around here and it was crazy how fast everything goes at the grocery store. I’m a Chicago girl so I just laugh at the chaos down South. Unfortunately, my skin has really taken a beating with the season. My face has been super dry and I even catch my dog itching like crazy. Normally, I just use the coconut oil straight from the jar but to be honest, I just don’t like the texture. If you rub it in between your hands, your body’s temperature will melt it but I miss the smooth feel of lotion. I have found that if you whip the coconut oil, it mimics the texture of a lotion and it goes how so much smoother. My face has gotten better and I’ve even used it on my dog. He’s been scratching a lot less! 15 drops of your essential oil of choice. Place the ingredients in a mixing bowl. Whip for about 5-10 minutes. Scrape the bowl occasionally. I just use my Kitchen -Aid mixer, turn it on, and go about my other activities. The new year is upon us and in full force. One of the things that I like to do is organize my home management binder for the year. The verdict is still out whether I like a home management binder or not. I’ve had it a couple years and have taken suggestions from other bloggers, but not all of it I have used. The advantage to having a binder is I keep everything in one place instead of finding different homes for them. If you don’t know me, I’m pretty OCD, organized. I really fear for my husband (and myself) when I go into nesting mode. With getting a new house, there’s so many home improvements to do, and of course I want to get it all done by the time baby arrives, not to mention clean the mess that the previous owners made. Let me give you an example of how lazy these owners were. They would paint around a picture frame instead of simply taking it off the wall. So there are different color rectangles in some of the rooms where they hung their picture. Now, I’m not one to bad mouth (although I am now), but I wanted to have a taste of the extra things that need to be done around here. 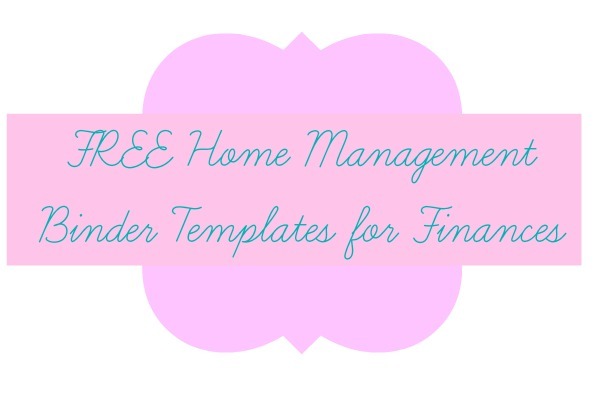 The home management binder. It’s a love/hate relationship. Every year I go through and see what I’ve used, what I haven’t, and what I’d like to add, and create new templates or throw away old ones. Sometimes I feel like having it is more work, and other times, I’m glad I can refer back to some of the information. One of the templates I use and will continue to use is my Monthly Budget Template and my Bills Template. I hope that my crazy organization obsession will help get you going in an easy way. I don’t know about you, but I want to prepare my body anyway possible for the big “labor” day. At the very least, it doesn’t hurt. I’ve been trying to add some herbs into my everyday diet to help things out with labor, comfort, etc. There are 4 herbs that I’m going to mention that have been highly regarded by herbalists and used safely by preggers for 100s of years. Any of the herbs I suggest can be eaten as a vegetable or taken as a tea, tincture, or capsule. 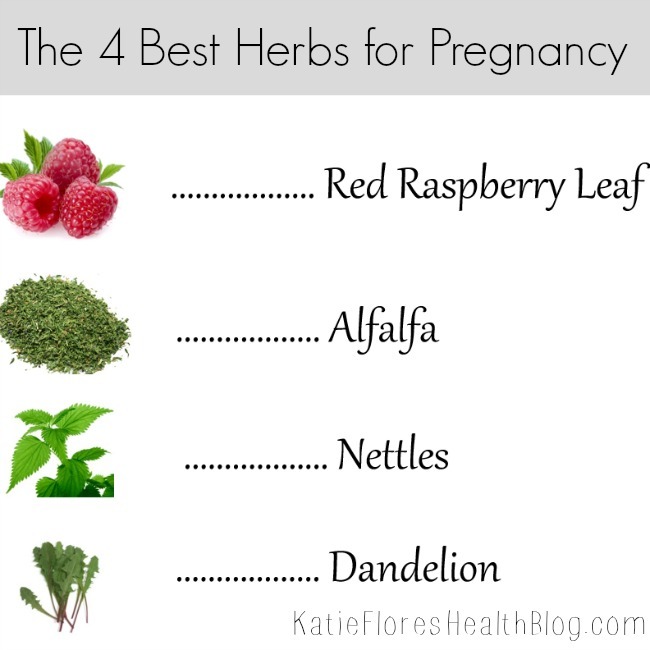 Red Raspberry Leaf: This is the best all around herb for a healthy pregnancy. It’s rich in calcium, magnesium, iron, phosphorus, potassium, and vitamins A, B, C, D, and E. Red raspberry strengthens and tones the uterus, cleanses mucus membranes, helps with constipation, eases morning sickness, and assists in milk production. Most midwives and OB-GYNs recommend drinking it in the 2nd trimester and on since it can trigger some uterine cramping. Be sure to check with doctor if you’re unsure. For a tea, try this. Alfalfa: Alfalfa is rich in organic salt, an important source of Vitamin K, high in iron, calcium, magnesium, phosphorus, and vitamins A, C, and E. It is a mild blood cleanser and is recommended in late pregnancy because it promotes proper blood clotting, thereby reducing the risk of postpartum hemorrhage. In fact, my midwife has me taking it in a capsule, 6-10 times daily, in the last 8 weeks of pregnancy. This will replace my Vitamin K shot. Nettles: This is rich in biochealated iron, calcium, protein, and other nutrients. Drinking a daily dose of nettles nourishes and strengthens the kidneys, noursihes the mother and fetus, diminishes leg cramps (woohoo!) and childbirth pain, prevents hemorrhage after birth, reduces hemorrhoids, and increases the amount of mother’s milk. Dandelion: A tonic herb commonly used for pregnant women. It provides vitamins A and C, iron calcium, potassium, and numerous trace elements. The root helps boost liver function, allowing that organ to detoxify the blood. The leaf is a diuretic much loved for its help in alleviating water retention during pregnancy. You can take this as a tea, capsules, or tincture. So you find out you’re pregnant, now what? If you’re like me you want to research and become informed about the changes in your body. You immediately run out to Barnes and Noble in search of the perfect book. There’s one problem. There’s a gazillion books to choose from. How could you possibly go through all that reading before the baby comes? Let’s be honest here, you won’t, so I’m going to narrow it down to 6 books that I’ve really enjoyed for my pregnancy. I haven’t necessarily read all of them straight through, but they’re great for referencing. For instance, if I’m dealing with heartburn and want a remedy, I go to one of my books and find the answer. Another thing I want to point out about my list, is they’re informative, and not in a negative way. A very stereotypical book you might find people recommend is What To Expect When You’re Expecting. This will tell you anything and everything that can possibly go wrong in your pregnancy. ou don’t want that! You don’t need that stress. Our society already has a negative view on the birthing process. That scared feeling you have will make you tighten up while giving birth, making it more uncomfortable. So in my list, I tried to books that shed positive light on the experience. Relaxing through your labor (or I like to say birthing time because labor means work) will benefit you and that baby, so surrounding yourself with positive stories is only going to help. Of course, 6 is a lot, but I wanted you to be able to choose which works best for you. I also tried sharing books that weren’t too biased. You’ll find some books that are all for hospital births and then some who are all for natural births. I did my best in choosing books that gave you the options available and facts to help you make the best decision for you and your baby. Disclaimer: Don’t get too caught up in reading and get overwhelmed. Most of the time, I used my books for references. If I was having a bad day and really scared about giving birth, I simply read a positive birth story (or 2, or 3, or more!) to get me in a better mindset. Your body will let you know what to do. Just relax and enjoy your pregnancy. I hope you truly enjoy them. And remember to just enjoy what you’re going through. It’s such a miracle! I am currently 30 weeks pregnant and at this point, time is just flying. I’ve really had nothing to complain about and sometimes I feel like I should cherish this time more. And then of course, there are other times where I just want to have this baby! In my opinion, I feel like it’s been going smoothly because if a problem does arise, I try different things to get my comfort back. They’ve been very useful. So if it’s been working during my pregnancy, why can’t I prepare for labor day as well? If you don’t already know, I try as many natural remedies as possible when something is wrong with my body. So for this pregnancy I don’t plan on having any pain interventions and am going as natural as possible. In fact, I’m doing a homebirth with a midwife and am very excited about it! Now don’t get me wrong, with all the negativity around labor, I am nervous about the pain, but with this medicine cabinet of essential oils, I’m ready for the big day. You can simply smell these oils, diffuse them, place on bottom of feet to ease stress, anxiety, fear. Once labor begins, massage the oils on the stomach; and keep the diffuser running! Jasmine: Reduces anxiety and calms Mom. For strong contractions. Helps expel placenta. May speed up uterine contractions. Clary sage: For strong contractions. Kicks labor into gear. Lavender: For comfort and peace. PanAway: For muscle pain and back labor. Valor: For strength and proper presentation. Peppermint: Soothes nausea. Reduces pain and discomfort even with back labor. Boosts energy. Helps Mom pee after birth. Gentle Baby: Soothes tender skin. Calms Mom, baby, and Dad. May keep baby in birth canal. Frankincense: For comfort and peace. 1 drop on baby’s crown for protection. Promotes bonding. Helichrysum: Use with Gentle Baby on lower back to prevent hemorrhaging. Right now, I’ve been focusing on setting up my surroundings that I want for the big day. It’s important to stay calm and relaxed. Smell is the strongest sense too! One smell can bring back so many memories. So when I take a bath, I’ll use my Lavender Castille Soap for the smell (and bubbles of course), and then come birthing time, will diffuse the lavender to get comfortable. I’ll be use to it already so it’ll be easier for me to get into that state of mind. Of course, you don’t need all of these on hand. Pick and choose which ones you think you may need or that are important to you. For instance, if your baby isn’t in the proper position and you’re worried about that, pick up some Valor to help the positioning, or PanAway to help with back labor. Most of these oils you can get directly on Amazon, but some of the oils I mentioned above are blends and are specific to a company called Young Living. Based on my research I liked that they own their own farms and carefully monitor every step of oil production. 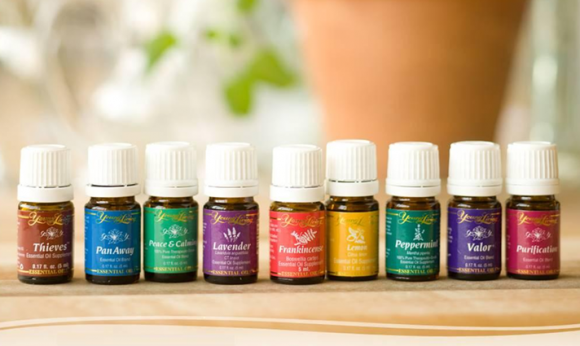 Plants and their oils are delicate in nature, and I trust Young Living’s gentle process to ensure that nature’s “living energy” is in every bottle. Their essential oils are 100% therapeutic grade, effective and safe. If you have any questions about getting started with any of these oils, shoot me an email ([email protected]) and I’d be happy to help! Today, I wanted to talk about hygiene. Not really, but my husband and I were faced with a dilemma. No , nothing horrible! We ran out of mouthwash. Now, if you’re used to using mouthwash, you’ll know what I mean when I say even after brushing and flossing and even tongue scraping, your mouth still doesn’t feel as clean as you know it could with mouthwash. Well, again we ran out and you think it would be an easy fix. We just ran to Target and get some more. That’s all fine and good but we’re picky. I always try to use toothpastes and mouthwash without fluoride. To find out why, see this article on fluoride. Unfortunately, Target didn’t have any! Oh the horror! So we tried some local grocery stores and nothing. Now we found some smaller mouthwashes of the kind we like, but I wasn’t about to pay $5 for less product. Am I right? I just couldn’t justify the price. 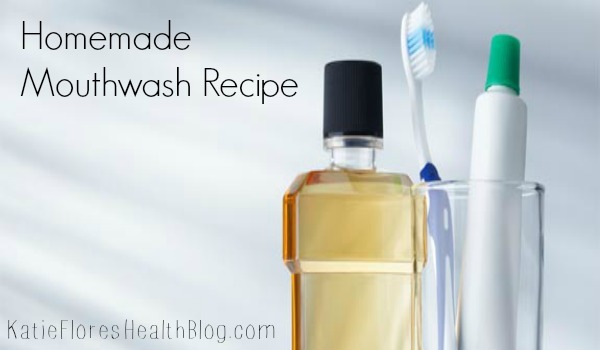 So, I went in search for a homemade mouthwash, after all, every natural mama was doing it It may have seemed a little more expensive to begin with to get the products, but I’ll make multiple batches with it. Verdict: It’s amazing. It doesn’t have the same zing (if that makes sense) when I’m finished but I’m sure I could accomplish that if I put a tsp. of vodka in it. I was quite surprised with it too. With every passing minute, I felt my mouth was getting cleaner and cleaner. Combine all ingredients in a jar. Cover with lid. Shake before use.